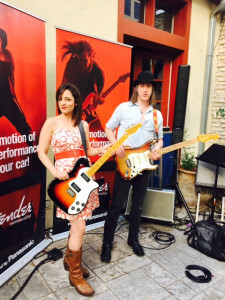 We had a great time playing the C3 Group’s party at Carmelo’s Restaurant! Such great people. Thank you C3! What a cool way to kick off our first night of SXSW! This entry was posted in news on March 14, 2015 by Brittany.